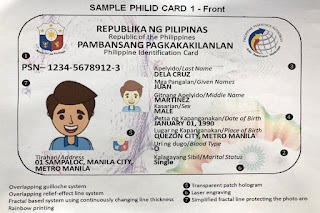 Up to six million Filipinos will receive their national identification cards as the first batch of recipients set out in September by the The Philippine Statistics Authority (PSA). The PSA has confirmed the proceedings at the House Oversight Committee on Population and Family Relations in Dumaguete City, Negros Occidental. The President and House Speaker Gloria Macapagal Arroyo's aim is to speed up the implementation of the Philippine Identification System (PhilSys). PSA officials assure the House panel that they are ready to make the first batch of registration and are determined to issue the first ID number in September. "I am happy that it's all systems go for the National ID system based on the timeline they have presented to us this morning," Arroyo told reporters after the Oversight hearing in Dumaan City. At the hearing, lawyer Lourdines Dela Cruz, Deputy National Statistician of PSA, said that in accordance with RA 11055 (The Philippine Identification System Act), they will begin registering up to six million people for PhilSys in the coming September. It can get Filipinos from five years old up and resident aliens. Dela Cruz also pointed out that the first register is indigent, persons with disabilities (PWDs) and government employees. 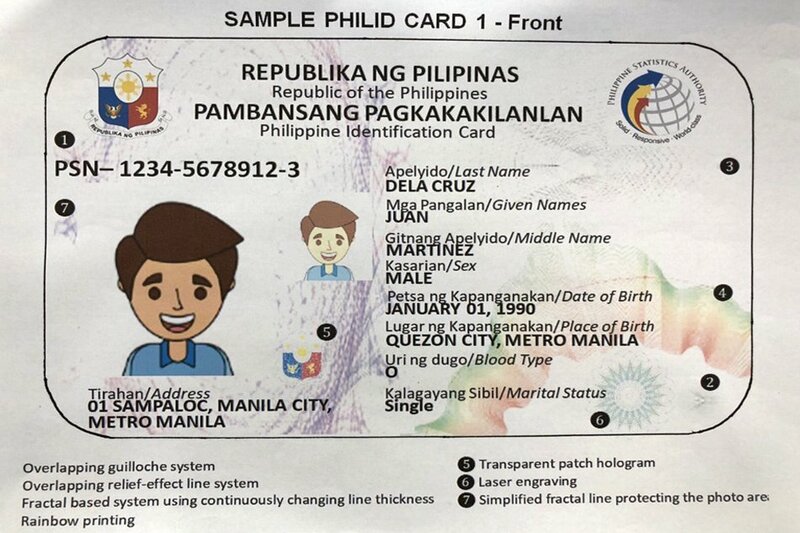 The information required for PhilSys is biometrics (thumbprint, iris and face scanning), full name, gender, birth, place of birth, blood type, address, and if a true Filipino or resident alien. It will depend on whether to put the marital status, mobile number and email address on the card. After free registration, the registrant will be given a permanent PhilSys Number. The card will serve as a single identification system for all Filipinos and resident aliens, so that no one else needs identification of another identification when transacting with the government and the private sector. In 2022, Dela Cruz said they could issue 100 million cards to Filipinos and resident aliens.